Looking "where to sell my 2001-2007 Aston Martin Vanquish?" Ask the Chicago Car Club! Are you wondering "where to sell my 2001-2007 Aston Martin Vanquish ?" The Chicago Car Club is interested in classic cars of all makes and models, especially a 2001-2007 Aston Martin Vanquish. We make the process of selling your 2001-2007 Aston Martin Vanquish quick and painless. In just a matter of hours we will have your classic valued and, if you do so choose, turned into money in your pocket. All it takes is a phone call or electronic inquiry to get the ball rolling. 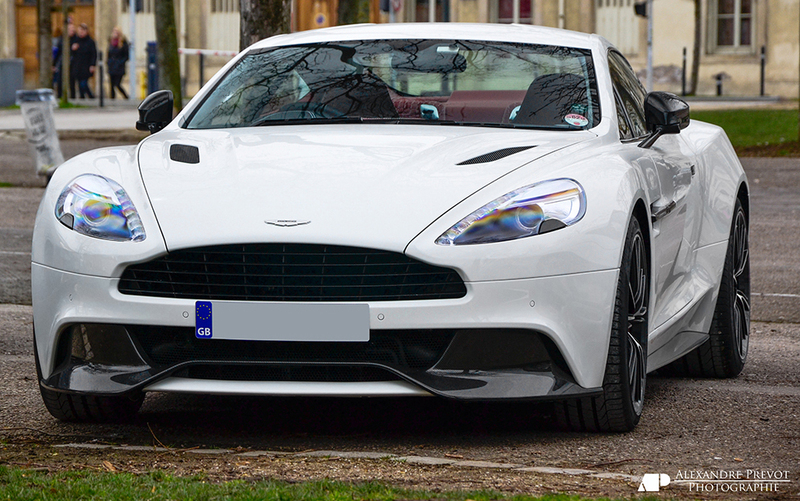 The Aston Martin Vanquish made its debut at the Geneva Motor Show in 2001. It was designed by Ford Motor Company and designers Ian Callum and Dilip Chhabria of India. It is well known from its feature in the James Bond movie Die Another Day. It was powerful and had modern, sleek styling with a wide wheelbase and a low stance that claims a designation of supercar. It was powered by a 5.9 liter V12 engine that put out 450 hp. It had a top speed of 190 mph and a 0-60 mph time of 4.7 seconds. It used a drive-by-wire throttle and had a six-speed Electrohydraulic manual transmission. Its nimble handling and quick acceleration made it a real driver’s car, which got rave reviews from critics. In 2004, Aston Martin introduced the upgraded Vanquish S model. It featured design changes and better performance with more horsepower. The displacement was 5,935 cc in 5.9 liter 362.2 cu engine that came with a power increase from 450 to 520 hp. It came with the Sports Dynamic Package which had sportier suspension and steering with more powerful brakes. These upgrades shaved a few tenths of a second off the 0-60 mph speed, bringing it down to a quick 4.4 seconds. At the end of the Vanquish S run, Aston Martin produced 50 special edition cars called the Vanquish S Ultimate Edition. They came in a unique color called “Ultimate Black” and featured a deluxe interior package and a personalized sill plaque.